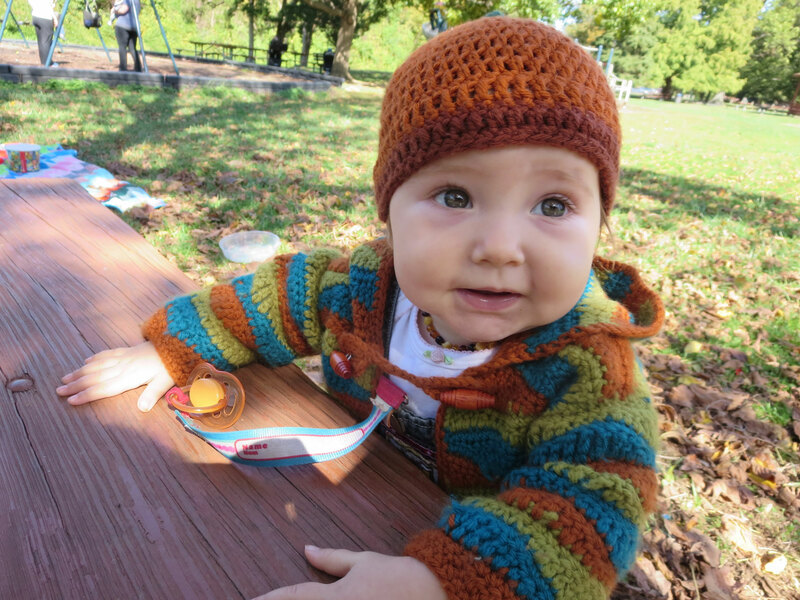 Daphne has been wearing some of Worth’s fall crocheted hand-me-downs lately. Here is Worth wearing the same hat and sweater in 2010. 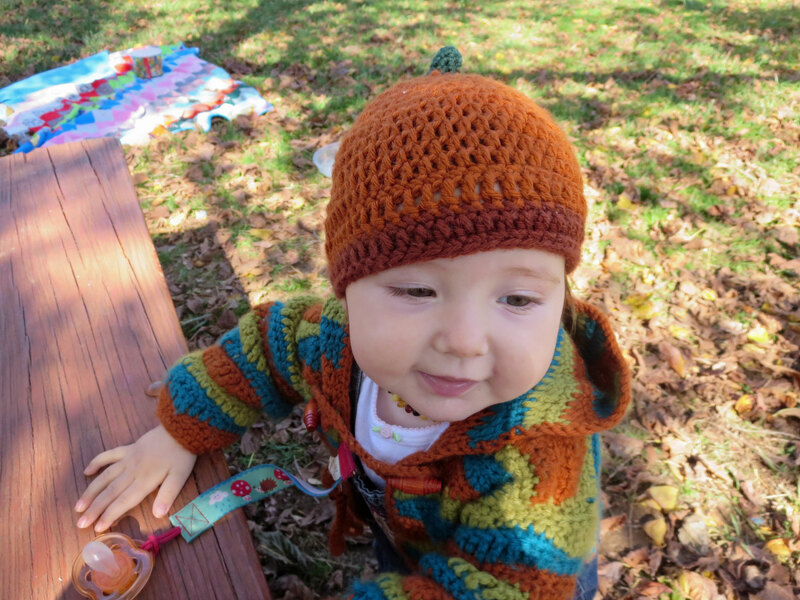 The hat is just a simple crocheted beanie with a stem added to the stop. 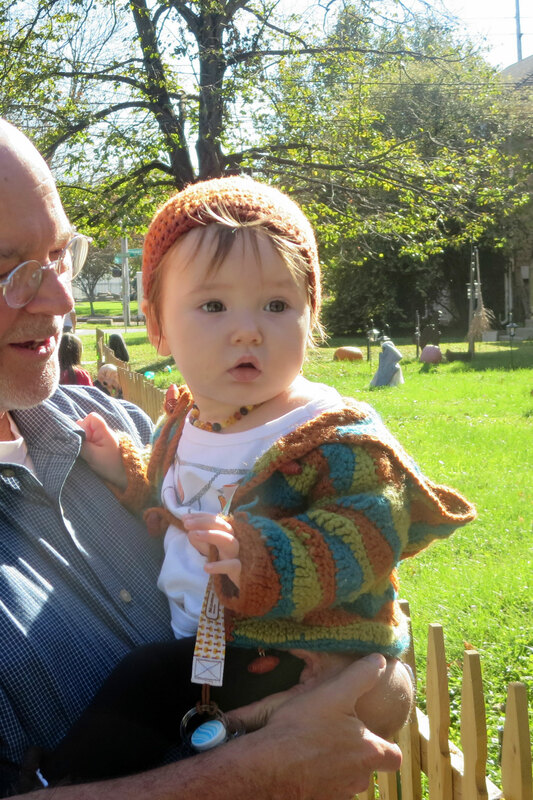 The sweater is made from this Wool Hooded Cardigan pattern from the book Natural Crochet for Babies and Toddlers and is done in Knitpicks’ merino wool. 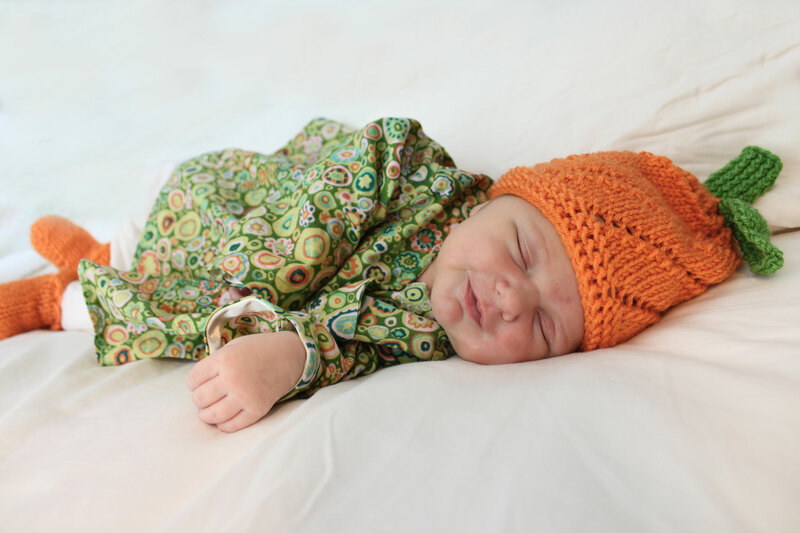 I love these sweet little soft and cozy fall goodies; so glad I got to squeeze on one more baby wearing them! More baby stuff show and tell! If you thought you were sick of my trailer a couple years ago you’ll really get tired of my relentless baby posts. 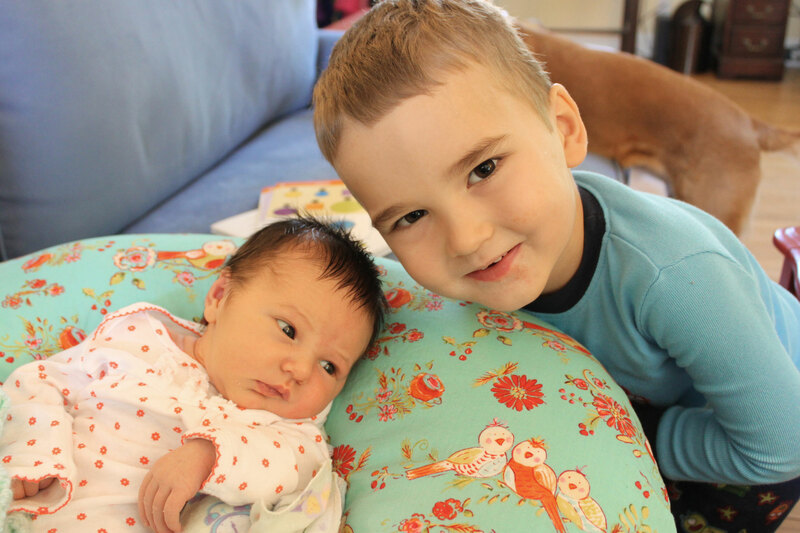 🙂 This picture shows the pretty Boppy pillow cover I made out of the Love & Joy birds fabric. 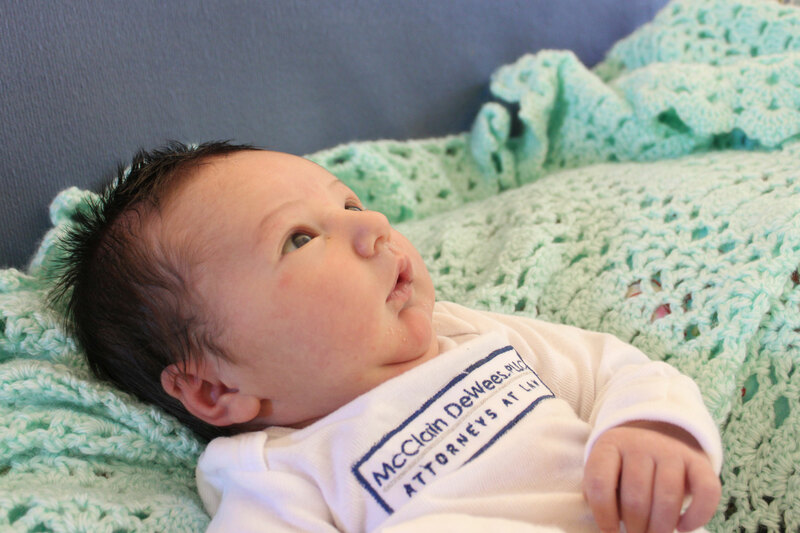 Here is Daphne showing off her company pride in a onesie I embroidered with her Dad’s business logo. 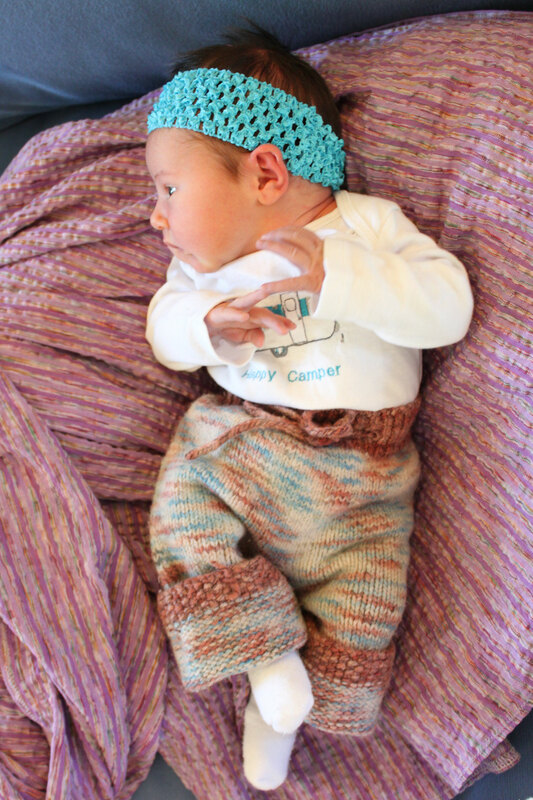 And of course her little trailer onesie (with pants knitted by a friend). And decked out in all her fall finery! 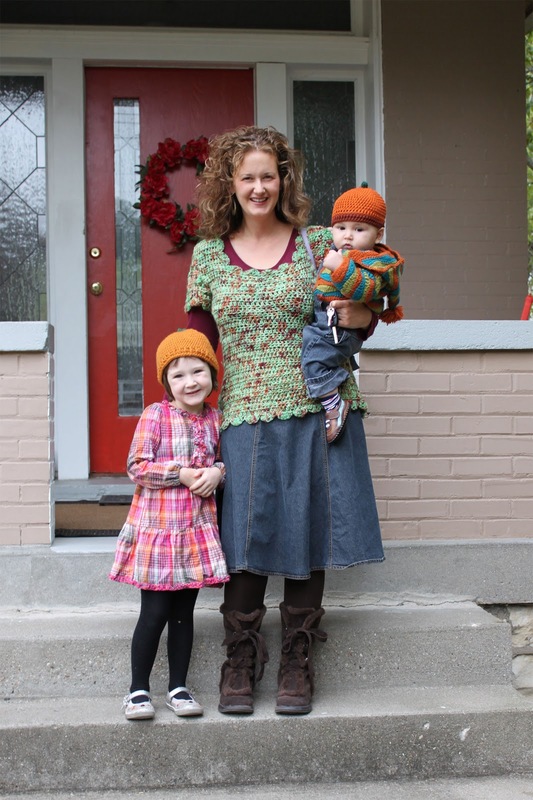 With the dress and pumpkin hat I posted about this summer. You think I’m enjoying her? I am! 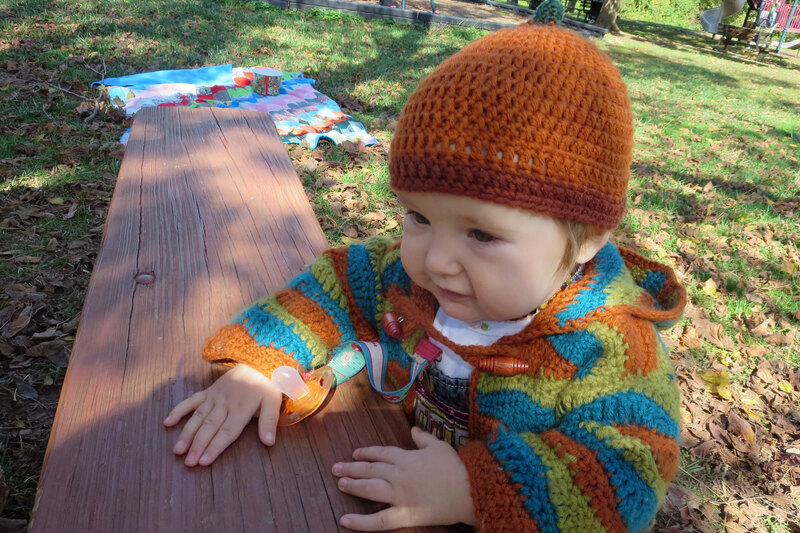 I’ve had yarn projects laid out for this baby since spring, and enjoyed a yarn purchasing spree and pattern shopping extravaganza right after we found out the newbie would be a girl. Then I did nothing with the yarn and patterns all summer because, you know, it was summer, and it’s not that fun to knit or crochet in the summer. I spent my down time reading novels like a proper pregnant woman in the hottest months. Things have cooled off in the last week, however, and my nesting instincts have driven me to the hook (and knook) to make some of these little projects reality. 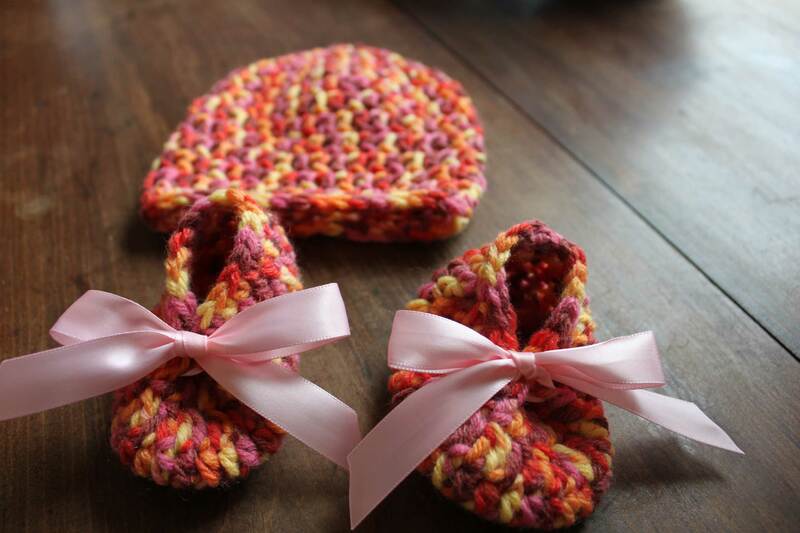 I made these wee booties from this Flower Slippers pattern, paired with a basic crocheted beanie, to complete the new baby’s hospital meet-and-greet outfit, along with her name onesie from a few posts back. It was hard for me to put aside my usual bootie pattern and try something new, but I remembered that Worth’s first day booties kind of squished up against his hospital ankle bracelet so I wanted to make a low-cut pair this time. My reward for trying a new pattern is that I loved this one, too, and I’m sure to make more in the future. 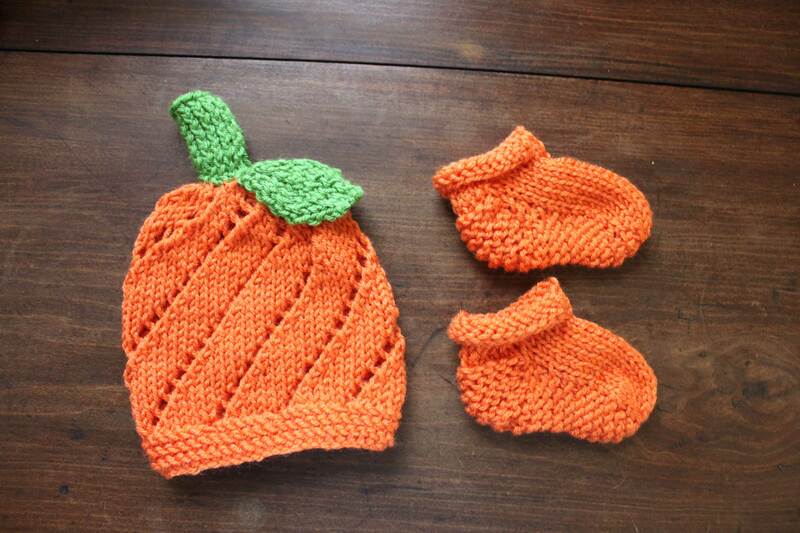 Since this little pumpkin should be born two or three weeks before Halloween, of course she needs a pumpkin hat. I used a pattern from this Baby Beanies book that is specific to knooking, which I bought because of the lovely knitting-to-knooking stitch translations in the back, not knowing if I’d ever actually use the patterns themselvest. The pattern was nice up until the decreasing started, at which point either I or it became a little off, but the hat still turned out cute. I added the little stem and leaf. Then I thought she’d need booties to go with this hat too (I never say “no” to more booties), so I used this pattern, which I bought from the Knit Picks website. They seem more like baby socks to me than proper booties, but I like the pattern. I’ve got more projects I’m excited to share soon, as soon as I do some blocking and finishing and a little house-cleaning (yeah right! ).